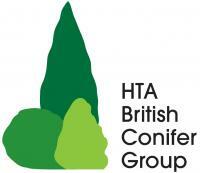 National Conifer Week 27th September – Organised by British Conifer Group. I would be lying if I told you I have always been a fan of conifers, whilst learning horticulture they were the plant genius that least enthused me, not to mention the mine field of species I felt I should learn. However becoming more familiar with them I now feel they are not highlighted enough. The most common request I receive from customers is their desire for a low maintenance evergreen for their garden and when a conifer is suggested their faces crumple, the word ‘conifer’ seems to have that effect. So l am here to praise up the benefits of the forgotten evergreen. Admittedly care should be taken in selection, it can be hard to imagine how a small plant could grow into a giant that dominates your garden, however there are many sorts of conifers each offering a beautiful compliment to the garden. They offer a wide range of growth habits, foliage types and colour. They can be just the right accent against flowering plants. You can select a conifer for almost any area of your garden. Shaded areas are great for Taxus baccatta, Abies alba and Juniperus sinensis to name but a few. You can even add evergreen interest to a rock garden giving colour and texture that cannot be replicated from other planting. We have a healthy stock of conifers in the plant department and given that winter is not that far away I have picked three that will give the colour, texture and interest lots of gardeners crave during the winter months. Picea albertiana Conica - This is a dwarf conifer, displaying a neat compact conical habit, it has bright green spring growth and can be used in borders or containers. You need to keep this one well watered in summer as just as an added bonus it makes an ideal miniature Christmas tree! Thuja occidentalis Amber Glow - This is a new English introduction that will add great merit to any garden. This is again a dwarf conifer which slowly forms a rounded mound and has a lovely amber yellow colour in summer and bronzing in winter, giving all year round interest. Also a good container conifer. Thuya occidentalis Rheingold - This will eventually form a large cone and is one of the best orange conifers, this looks its best when complimenting heathers and will add great winter colour to any garden. We have a vast array of conifers in stock at the moment so maybe give the conifer a chance, during those months were there is not a lot going on in the garden, that will be the time you’ll be glad you did.